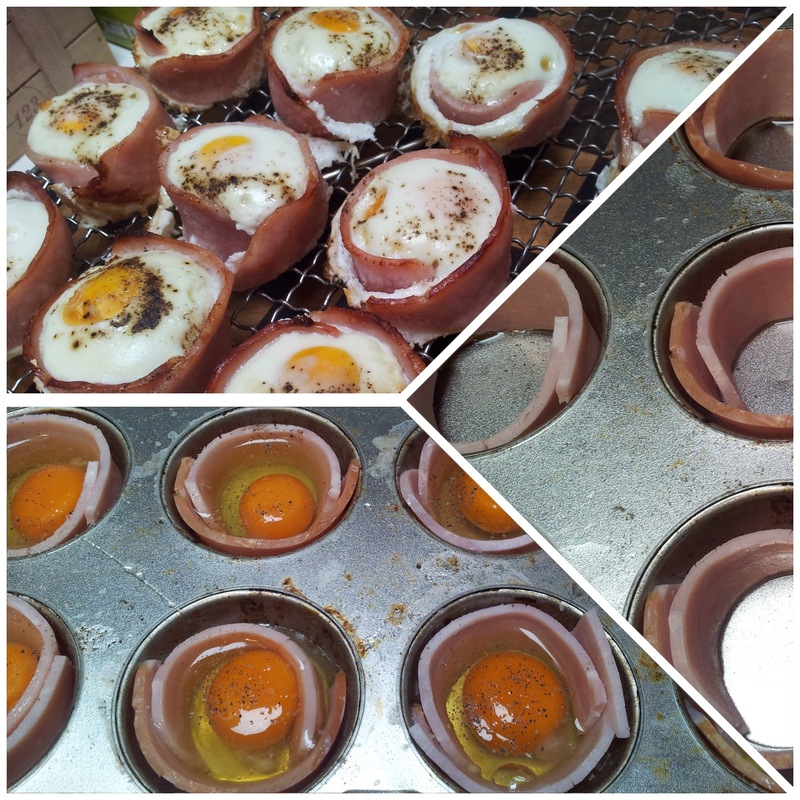 The combination of egg and bacon is very delicious and these muffins are so handy to have in the fridge. 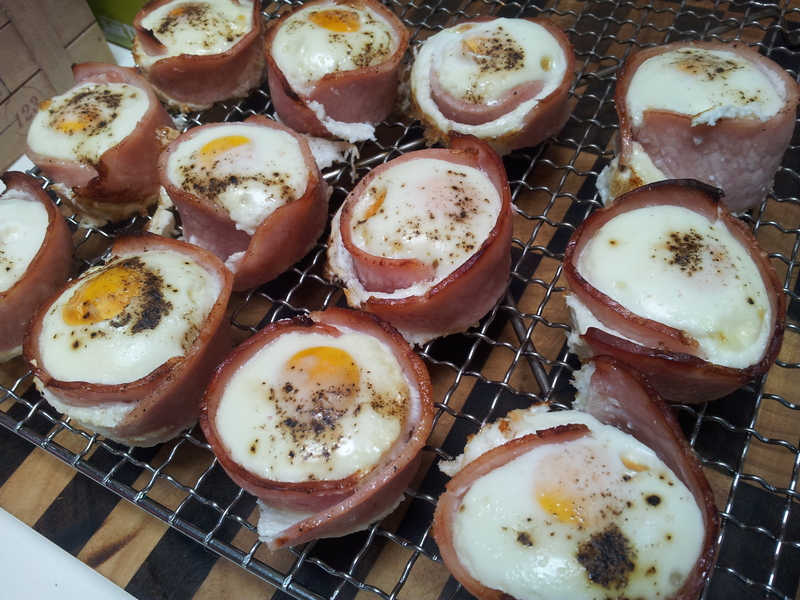 This version uses a whole egg surrounded by bacon and seasoned with just pink rock salt and black pepper. They can be the feature of your meal or a great snack option as they are delicious eaten hot or cold. A simple set of steps to achieve a tasty muffin. 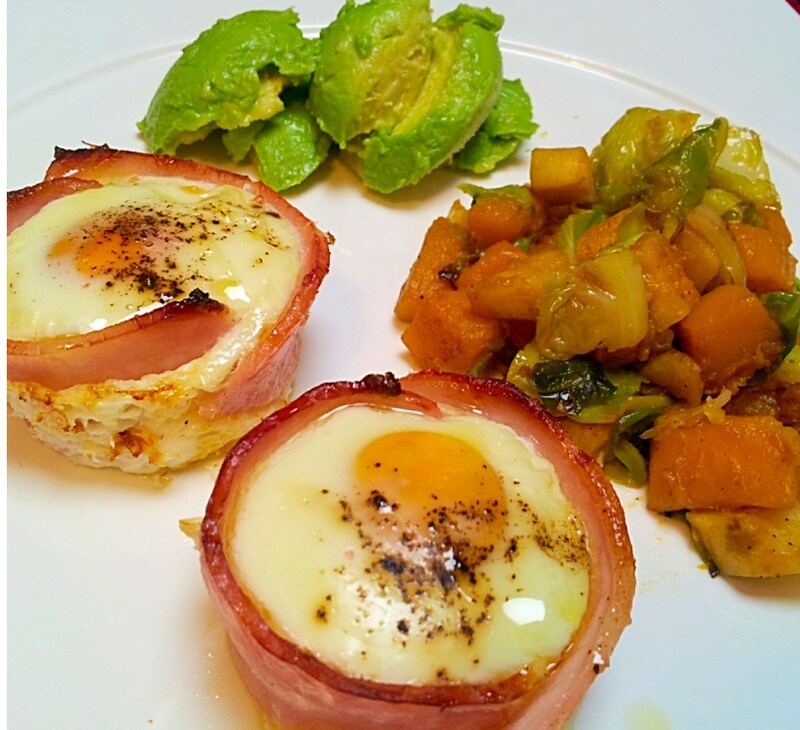 A really simple dish to make and a favourite with children. Grease your pan very well with coconut oil, place slices of bacon (ideally nitrate free) around the edges and break an egg (free range or organic) into each hole. Sprinkle your salt and pepper on top then bake in a 180 degree oven until the white is firm and the yolk is just cooked. If you have greased your pan well the muffins should just slip out. Place on a cool rack and use within a couple of days.